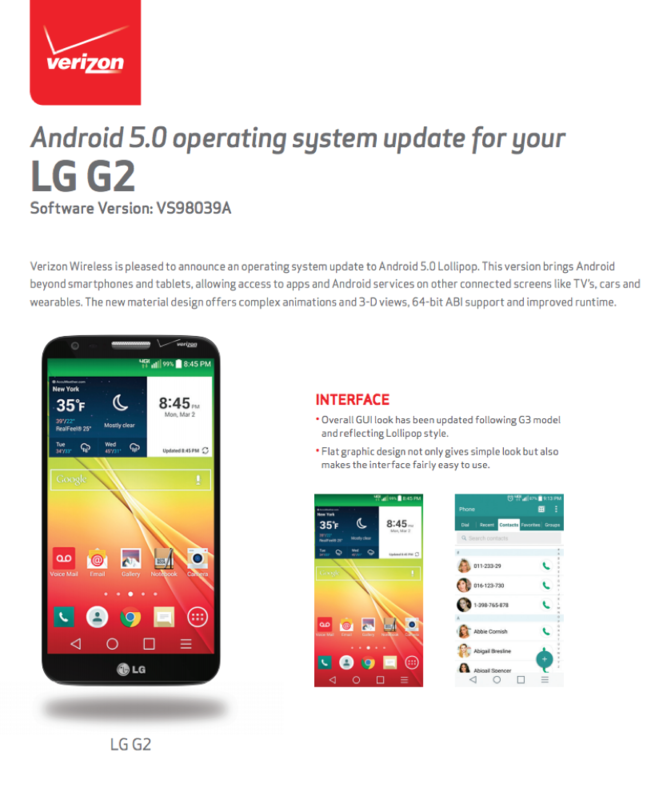 The LG G2 on Verizon is receiving an update to Android 5.0 Lollipop beginning today. I said “G2” not “G3.” That was on purpose, because this really is the G2 we are talking about and not the much-newer, less glossy, G3. 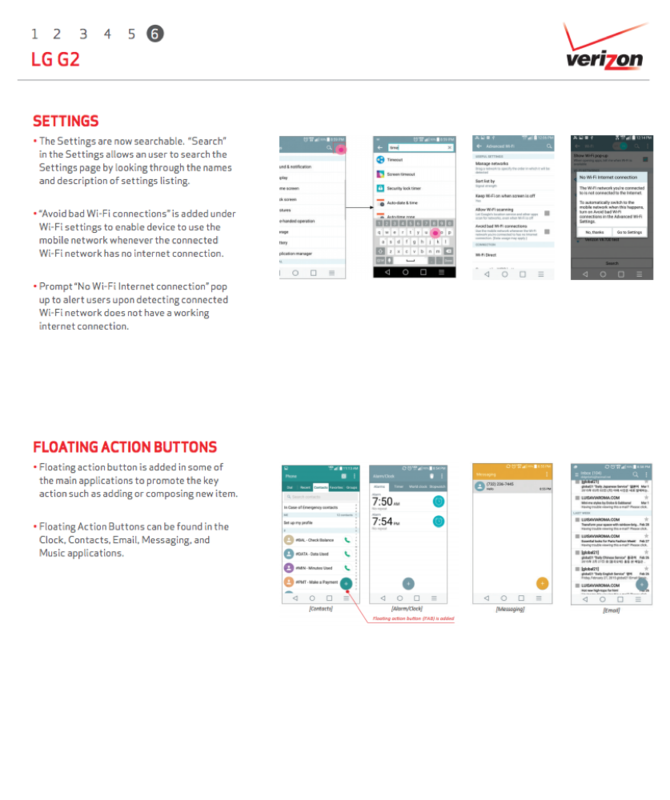 The update is a big one that is talked about at length in a 6-page document posted by Verizon. We included all six pages below to quench your curiosity. 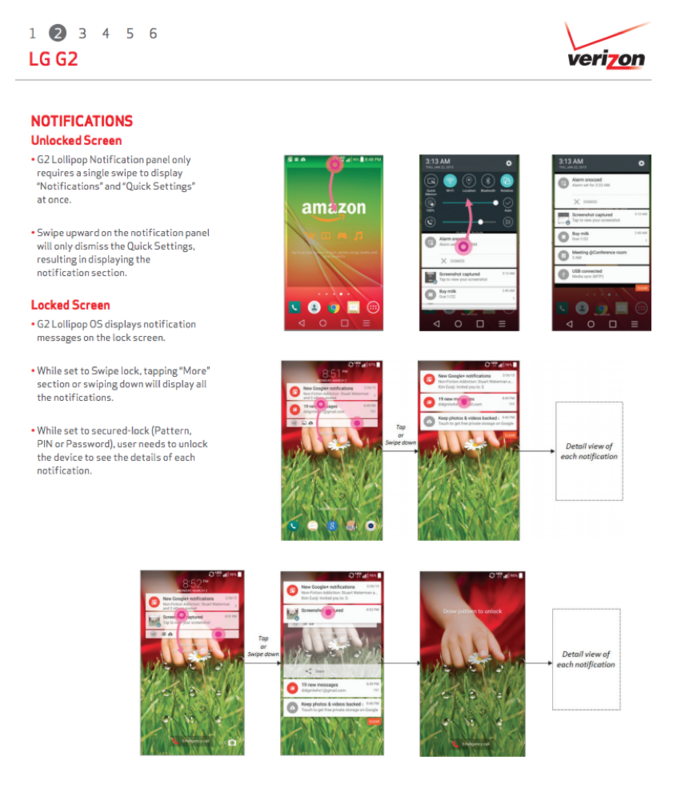 The new update for the LG G2 – seriously, we aren’t talking about the G3 – bumps the phone up to software version VS98039A. 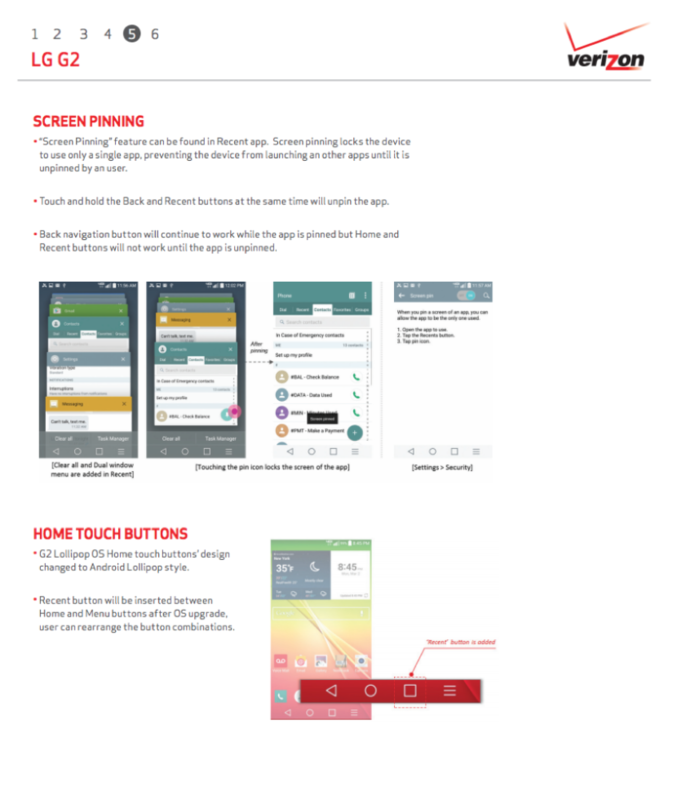 You will notice changes to the UI that mimic that of the G3 (now we are talking about the G3 for a minute), but with Lollipop style as well. 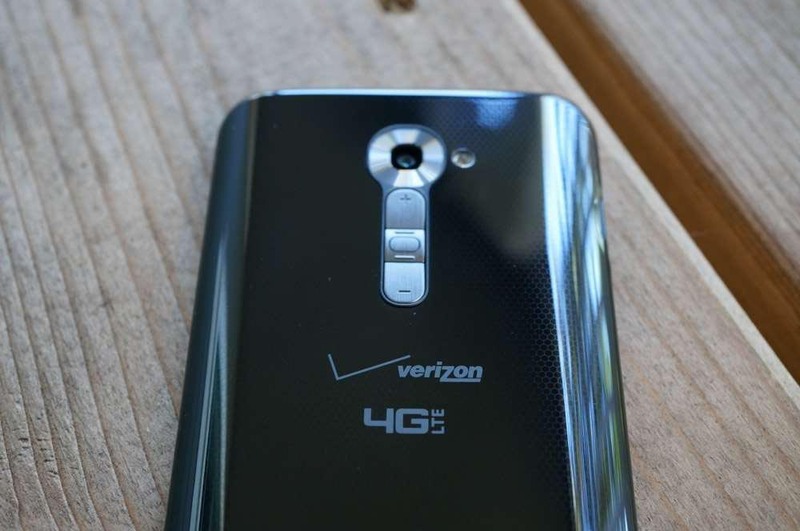 Everything is much flatter and more modern, yet still has LG’s in-need-of-an-overhaul skin. 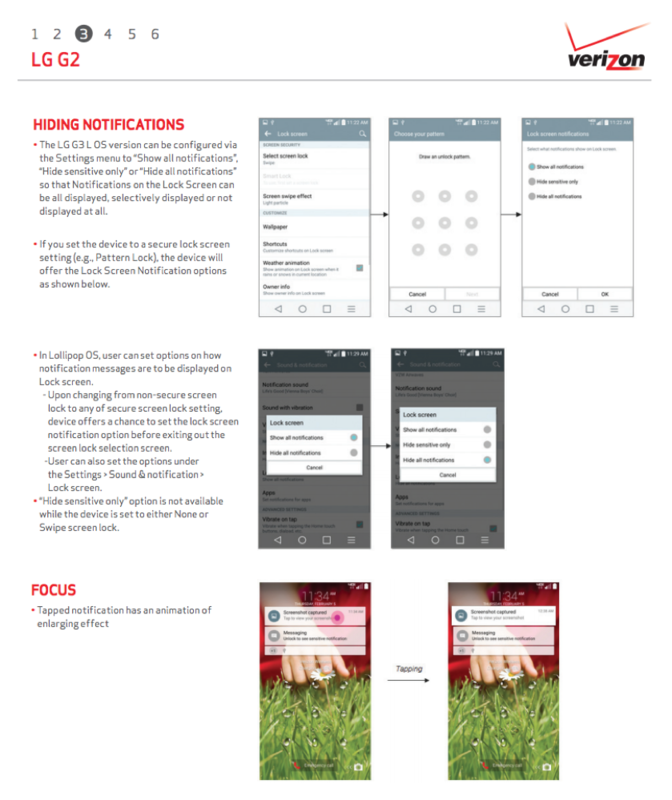 In terms of new features, Verizon claims that you can now swipe around in notifications from the lock screen, but I have a hard time believing that to be true. I just reviewed the G Flex 2, which ran Lollipop, and LG broke the entire notification experience. You’ll have to tell me how it’s working. You can also customize the way notifications are handled on a per-app basis, pin apps to your screen, search in settings, and play with floating action buttons throughout. 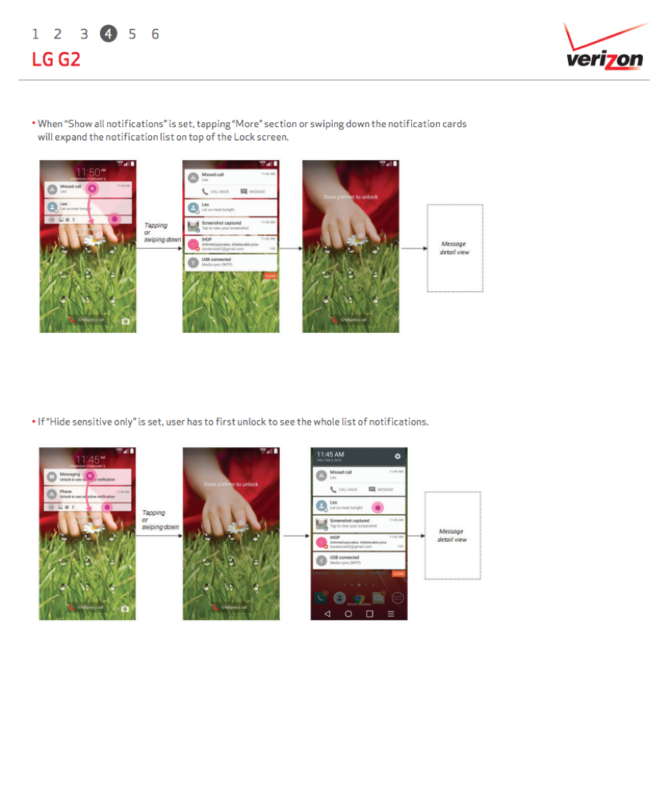 To get a sense for the whole update, feel free to check out our LG G3 Lollipop tour. The experience should be very similar.